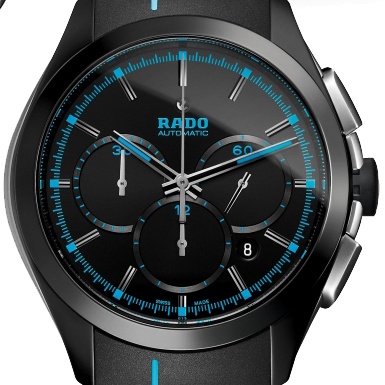 In 2012 the Swiss watch company Rado has announced its new partnership: the company now will be the official timekeeper of the Kremlin Tennis Cup which will be held in Moscow from 13 to 21 October. Company’s representatives say that tennis – is a game in which special attention is paid to the feed rate of the ball and measuring the time of game, largely reflects the essence of Rado watches. Rado wrist watches made of high-tech ceramics can be a real partner for tennis, with a special feature to quickly adapt to body’s temperature. In addition, as watch close in spirit to tennis, the company’s representatives mentioned the superlight models, which weight reaches only 35 grams. As for the shock resistance, the Rado in this case provides the strongest in the world Rado V10K watch, shock resistance of which reaches 10,000 on the Vickers scale.